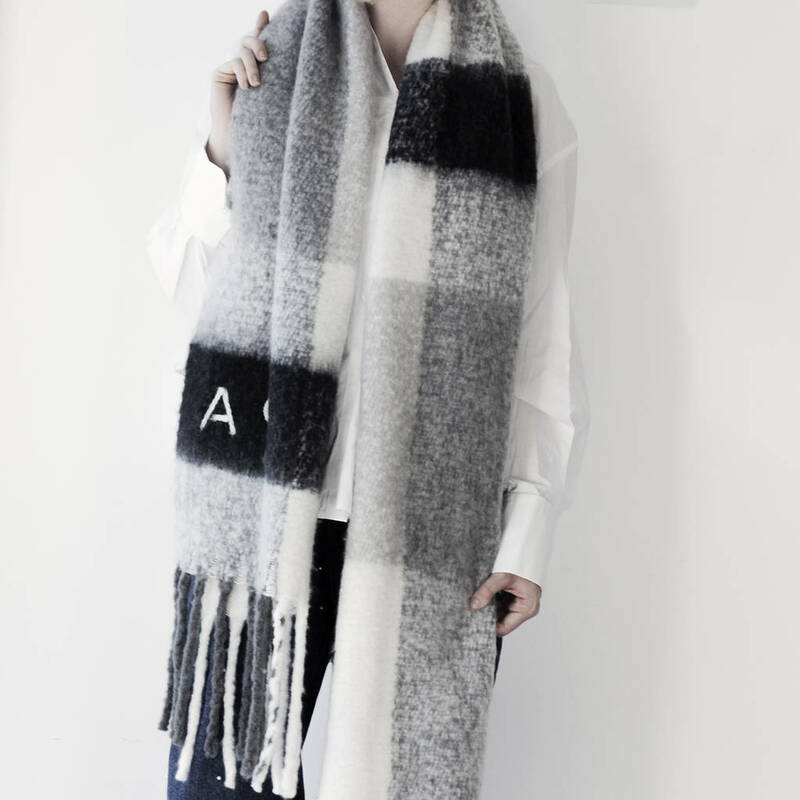 For those long Winter months, here's our new oversized colourblock scarf to keep you cosy and stylish. 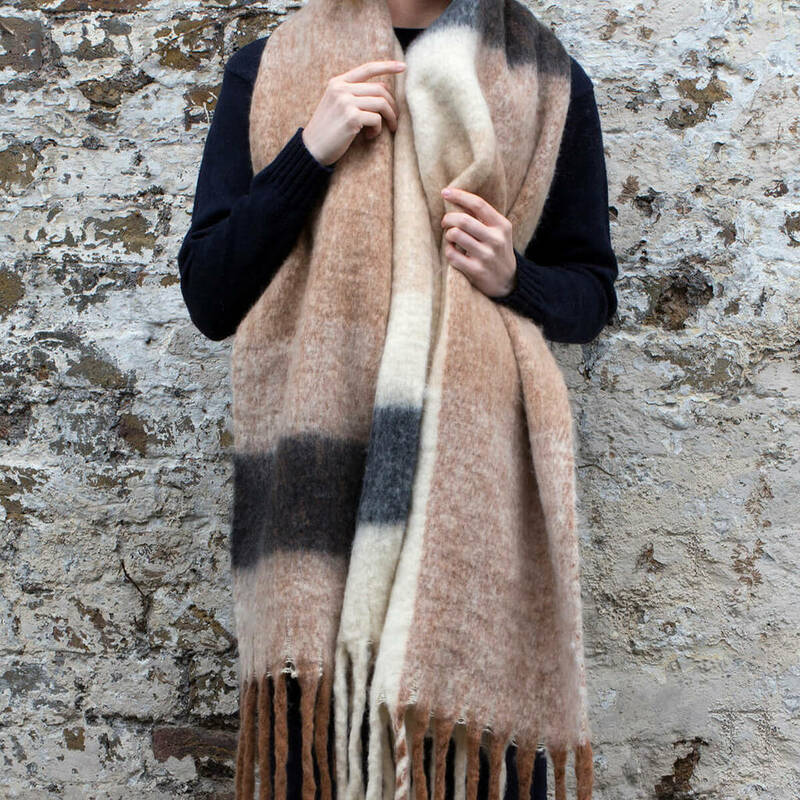 Finished off beautifully with a tasseled trim this giant scarf is sure to keep you snug as a bug with its super soft feel. 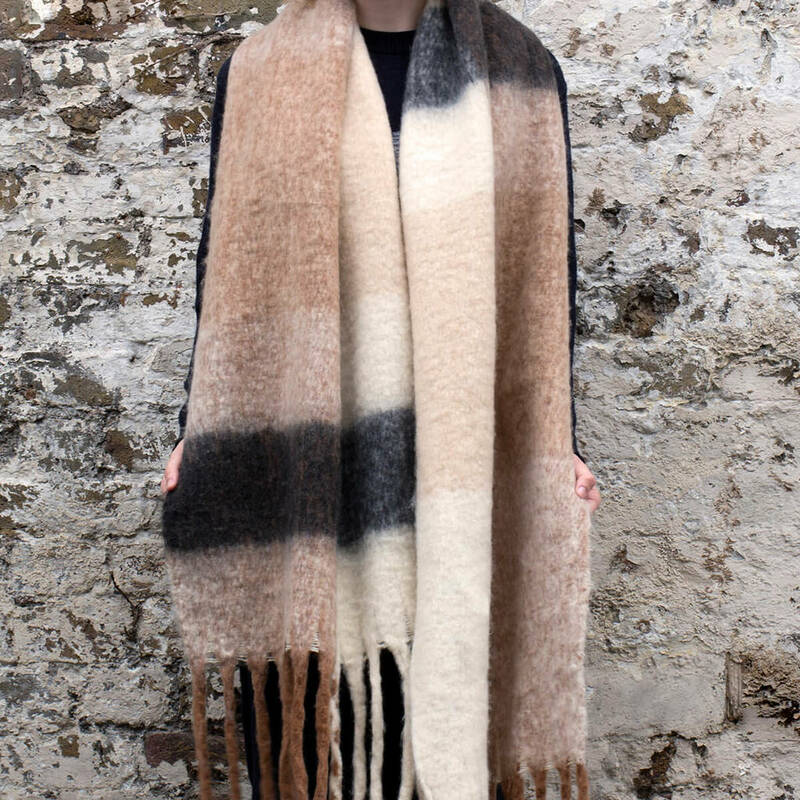 Available in both a warm Caramel colourway and a statement Monochrome, you might have to buy both to complete your Winter wardrobe! 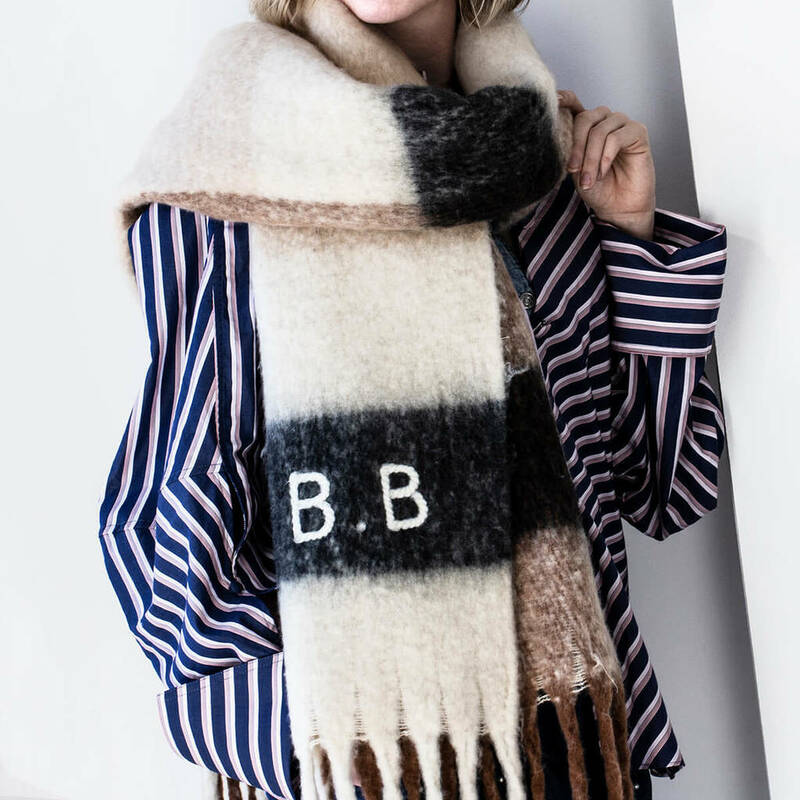 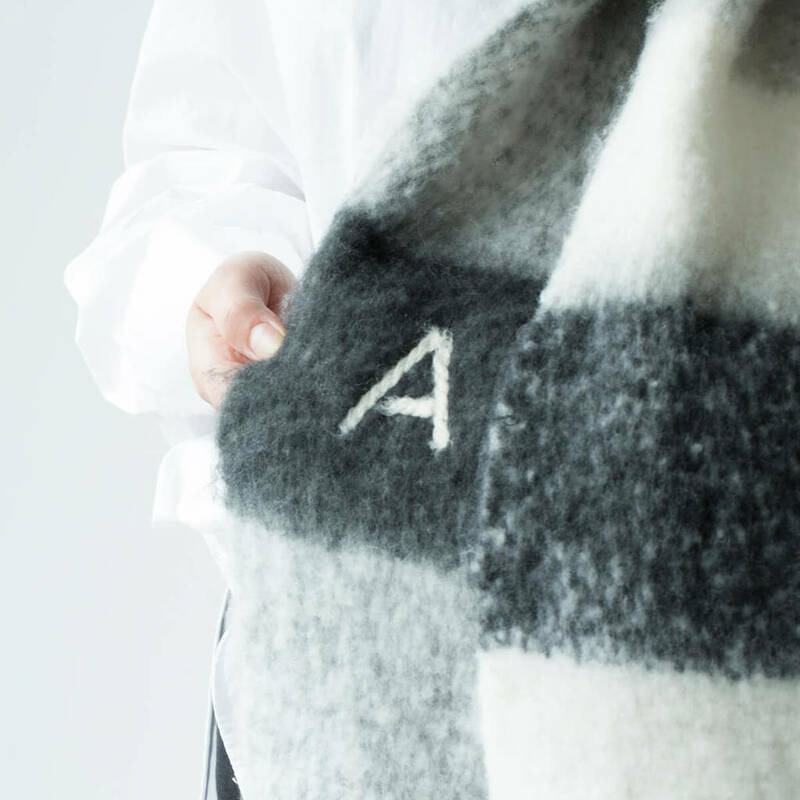 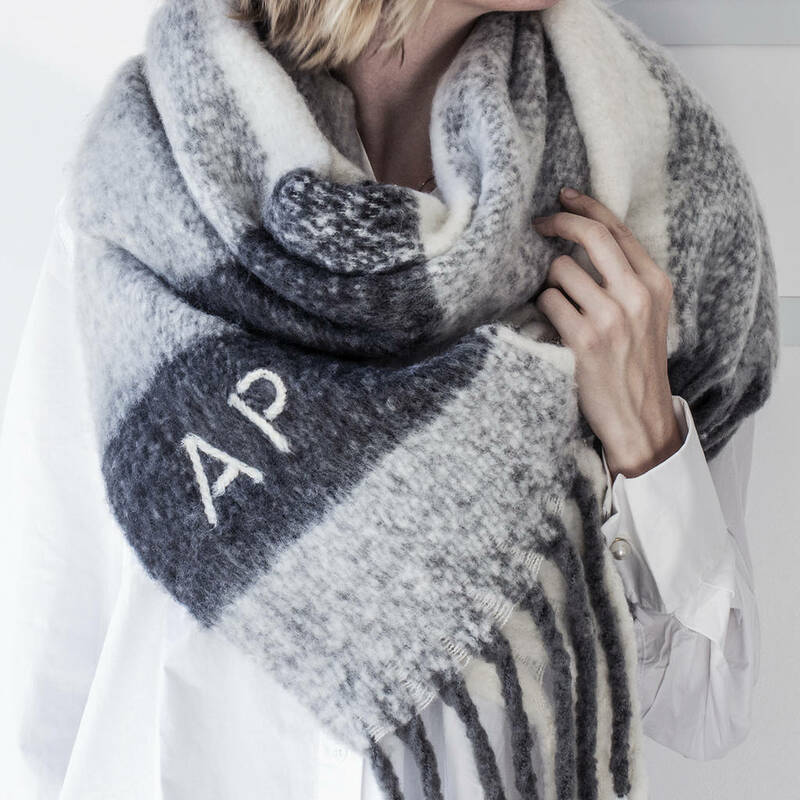 Hand felted initial personalisation is available on the scarf to make it that extra special, completed with care by our in house embroidery team. 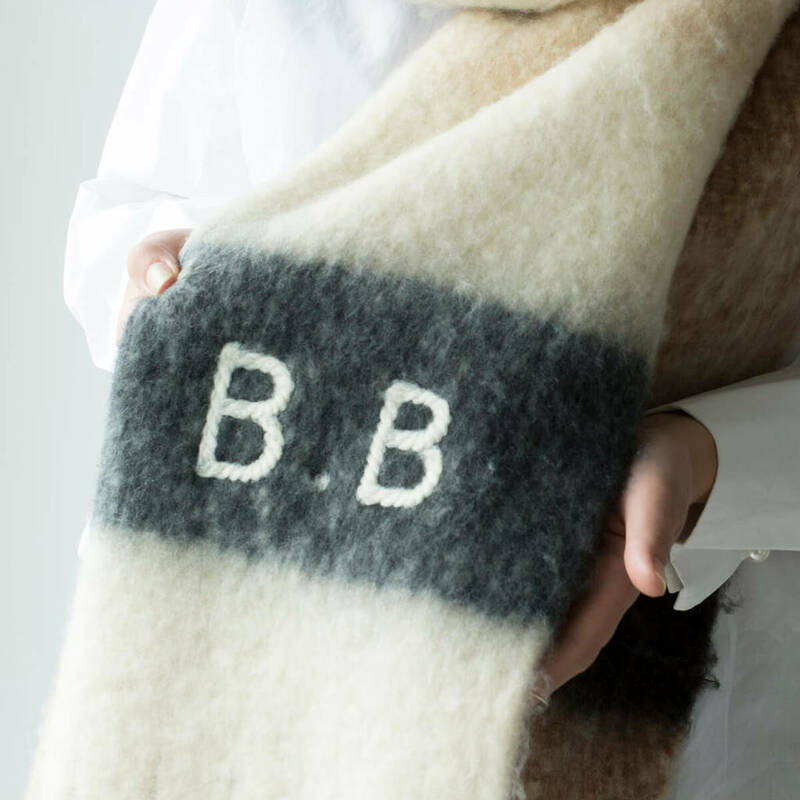 Please be aware - this scarf is a very fluffy design and can leave trace amounts on clothing. 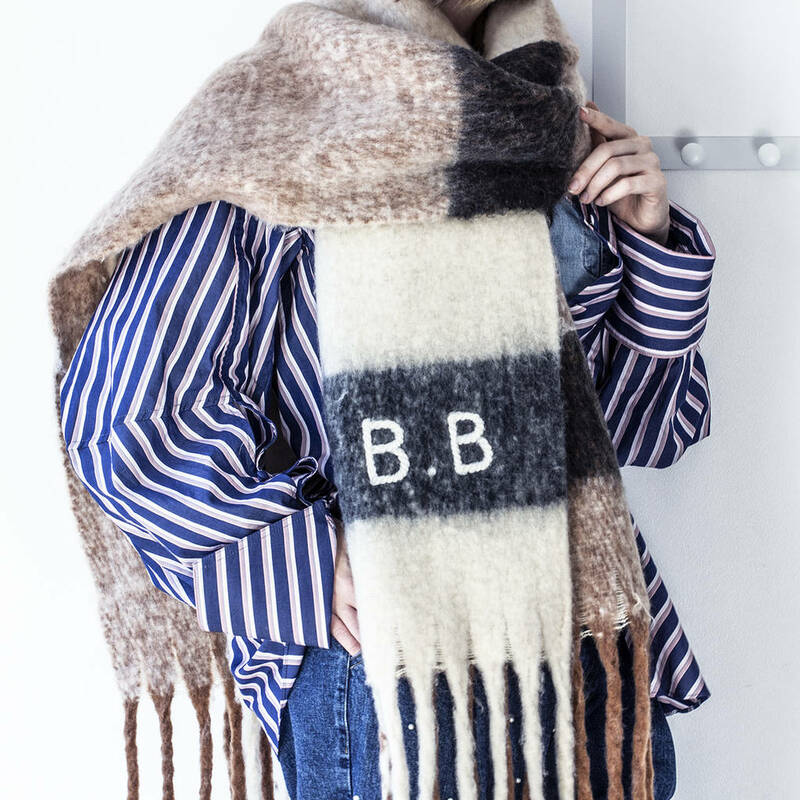 As such this cannot be classed as a fault and personalised returns will not be accepted. 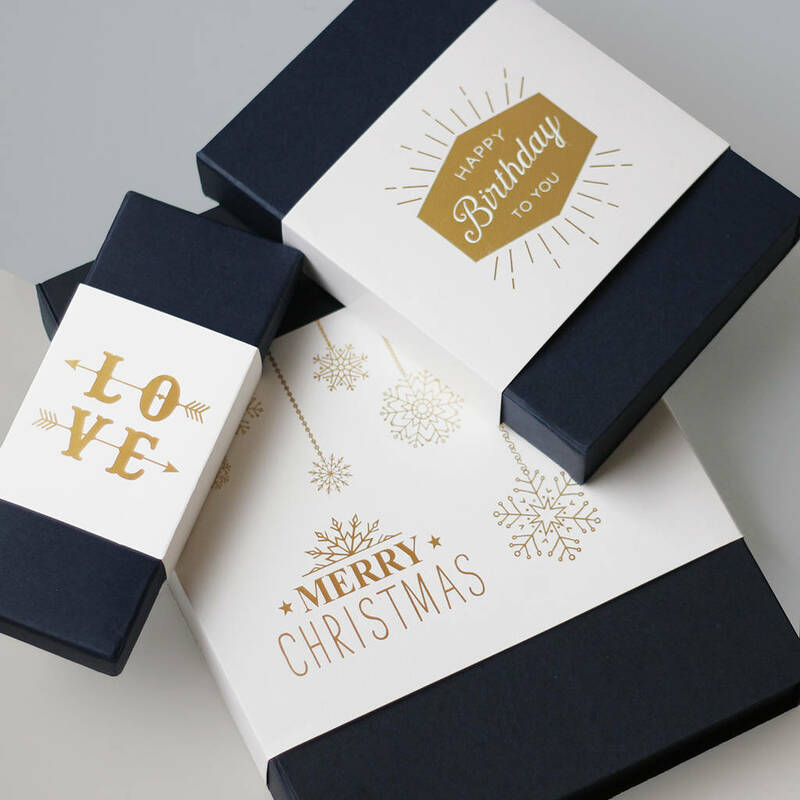 This product is dispatched to you by Studio Hop.